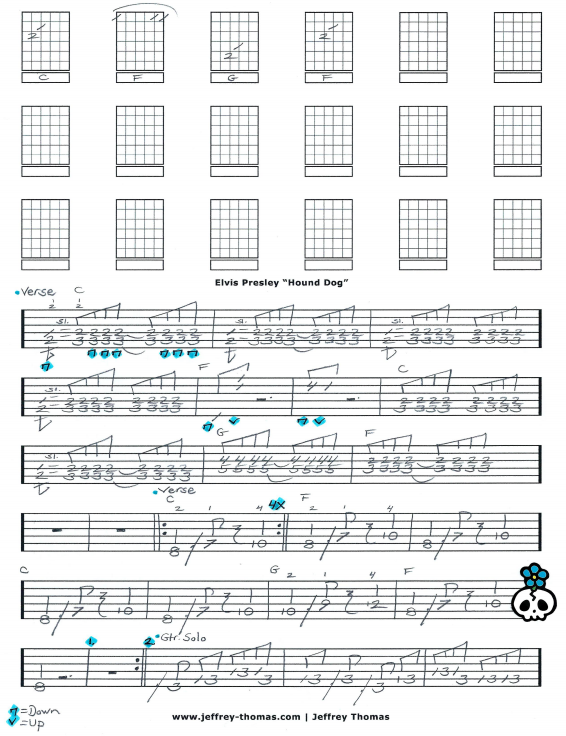 Elvis Presley Hound Dog Free Guitar Tab by Jeffrey Thomas. Learn all the classic guitar licks, song structure and solo for this famous blues rock tune. I have followed both the studio and live recordings showing 3 different ways to play the verse and included all the signature licks so you will sound great. More great guitar work by Scotty Moore here! Scotty played on many of the Elvis classics and his rhythm and lead guitar work is amazing. Want the full guitar tab for free? 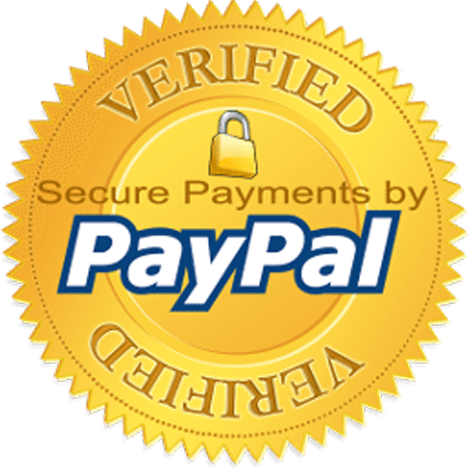 Just send in your email address through the form and I’ll send it off to you. Interested in improving your guitar skills? Make sure to fill out the Schedule A Free Lesson form to set up your free Skype guitar lesson. “Hound Dog” has been recorded more than 250 times and the version by Elvis hit #1 in 1956 for Pop, Country and R&B charts. Find more great online guitar tabs on my tab, video and blog pages.